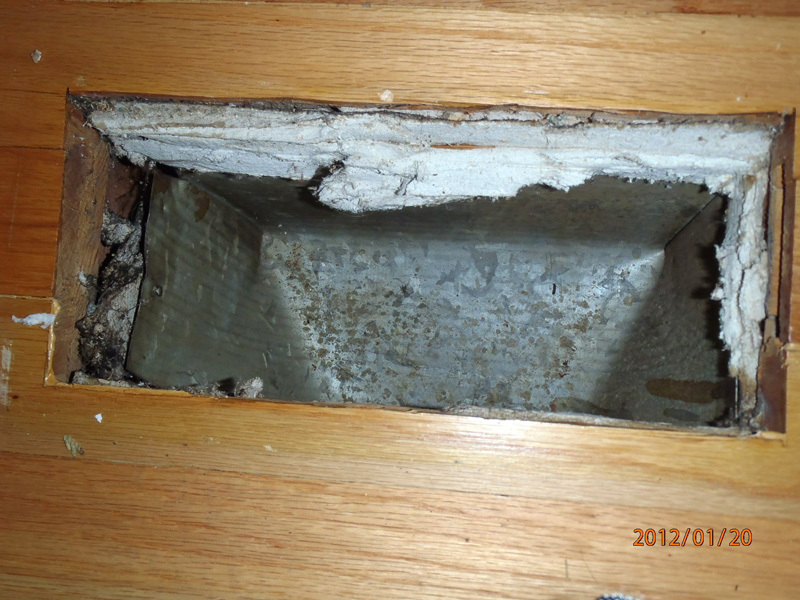 In renovated homes, you will often not see these as they are sandwiched under layers of wood subfloors and newer flooring tiles. However, in many old homes that are not yet renovated, these 9×9 tiles are exposed and are certain to contain asbestos fibers since most, if not all tiles with this size were manufactured with asbestos containing fibers. Nowadays, most tiles are made in 12×12. Look under carpets in basement or by lifting a floor vent and inspecting how many subfloors exist and if any contain vinyl. Most often people will not remove asbestos materials due to cost and encapsulate them my adding additional layers. This is generally not a problem if they are not disturbed. 2. Asbestos fibers on plaster ceilings. Homes build prior to 1986 can have architectural effects on ceiling. Most often material used on compounds have some asbestos fibers. Whilst it is safe if not disturbed, it is still something you should be aware of. 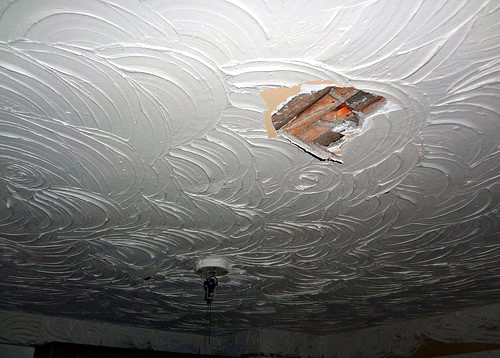 The above ceiling design is one you should definitely test for asbestos. Never renovate or remove these ceilings without having them tested for asbestos fiber content first. Older homes commonly used boiler systems that were insulated with asbestos as a heat shield. 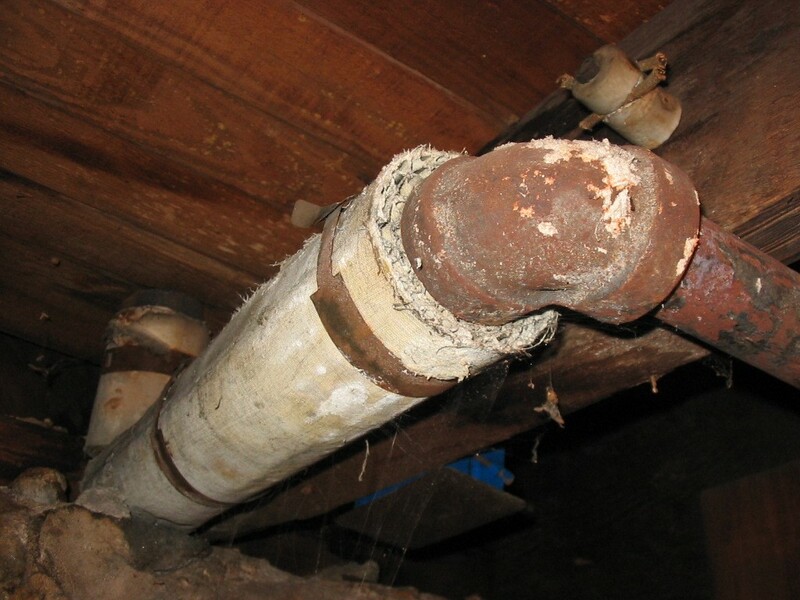 While we rarely use this type of heating anymore, you need to be aware that some leftover asbestos containing insulation on older pipes might still be present. While there is no danger if asbestos insulation is in good condition, it always should be removed by professional asbestos contractors. 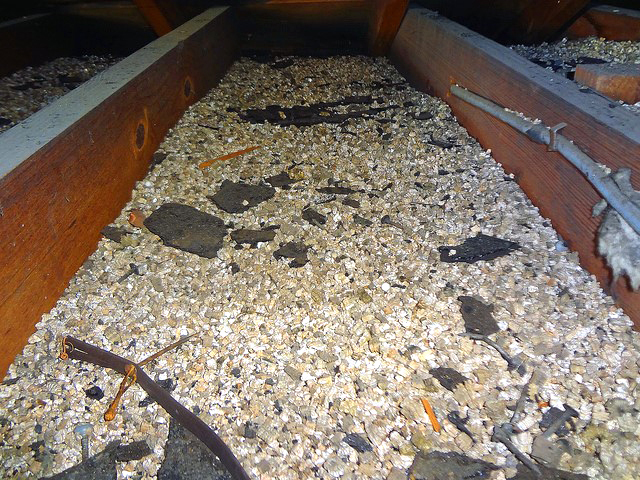 While the attic space is not considered a living space, if it contains asbestos fibers on the insulation, it is a very big expense to get rid of. Make sure the vermiculite is tested for asbestos containing materials. Friable asbestos materials are very dangerous and expensive to remove. Asbestos was commonly used as a heat shield in floor vents before 1986. Whilst it is not hazardous unless disturbed, older houses still contain asbestos hidden on the wrap of the floor ventilation. Unless you disturb it by sanding or trying to remove yourself, it’s not a problem, however the paper is highly made of asbestos fibers up to 93% and disturbance to it can cause issues. Always check with asbestos abatement professionals. 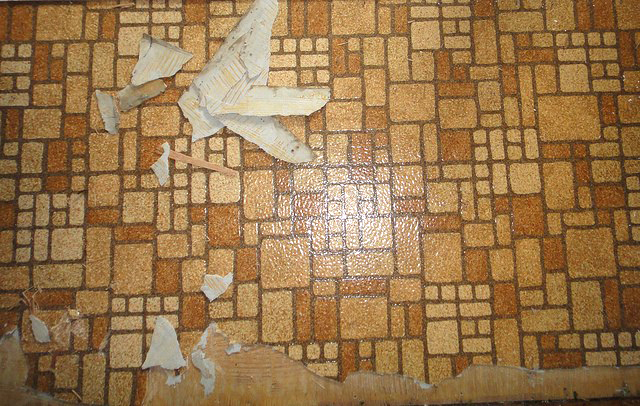 If it looks old it probably is, however you must consider if the vinyl sheet flooring contains asbestos fibers if you plan on removing it. Vinyl sheet goods are embedded with asbestos fibers to make them stronger and fire resistant, that it is why we used asbestos fibers in so many materials. We didn’t know at the time that causes cancer and some many other Health issues. A vinyl sheet flooring that looks like the above has a high chance of asbestos. Always test for asbestos fibers before removing any older vinyl sheeting. 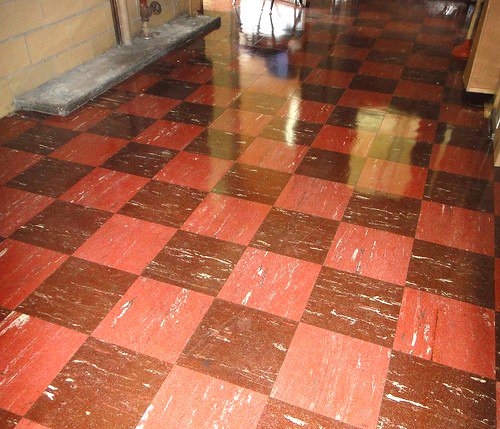 TIP: if black tar is adhering to the vinyl, it is almost a 100% asbestos containing fiber product.